I can’t help muttering “rhubarb, rhubarb” every time I decide to cook some. It’s rather like shrieking “Basoool” in a Sybil Fawlty-esque voice whenever I make some pesto. It’s really not funny but there are certain bits of ridiculous British humour that have become lodged in my brain for life. I’ve not seen the Eric Sykes film Rhubarb, Rhubarb for decades. I’m not even sure that a farcical game of golf between a policeman and a vicar (whose only words “rhubarb, rhubarb” are repeated many, many times) would be that amusing any more, but now I’m determined to track the film down just to see. 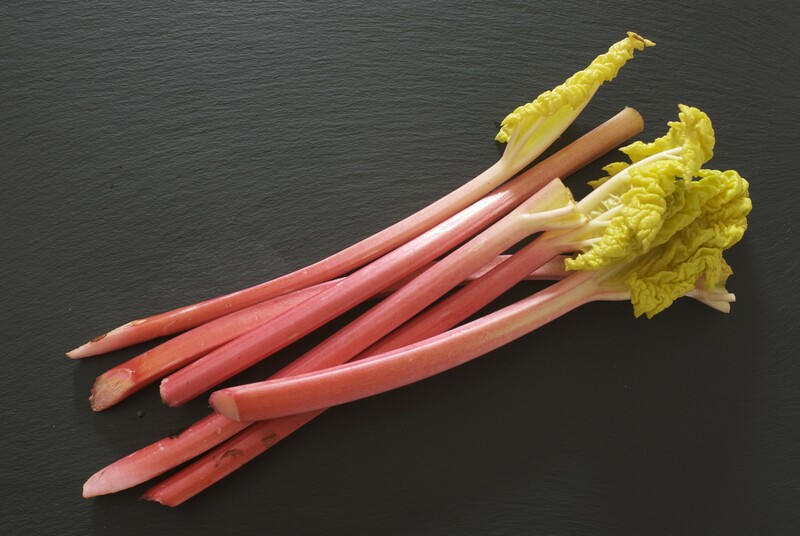 I’m especially in love with rhubarb at this time of year when the stalks are still slender, tender and lurid pink. I loathed it as a child. It was the school pudding that did it; slimy mush topped with undercooked pastry, all floating in a pool of lumpy Bird’s custard. Now I just can’t get enough of the stuff whether it’s the stunning Barbie-pink forced stems or the more sturdy garden varieties. So, I had my big bunch of rhubarb and had already decided that the finer pieces would end up on top of a gingery meringue whilst I made a zippy sauce with the stumpier pieces to go with some wonderful fresh mackerel. Disaster, no mackerel. We’re not the only ones who are throughly peed off with the shockingly cold spring. The freezing easterly winds have sent the mackerel in the English Channel packing, seeking refuge in deeper waters, and only some milder westerly weather will bring them back. Thankfully David Smith, my fantastic fishmonger, does stock some delicious smoked mackerel from the local Severn and Wye Smokery too. I changed tack and decided to try a dish using raw rhubarb. A Dutch friend had told me that he used to munch at the stems dipped in sugar when he was little. I tried it today. Not bad but rather like the super-sour sweets that children pretend to relish. 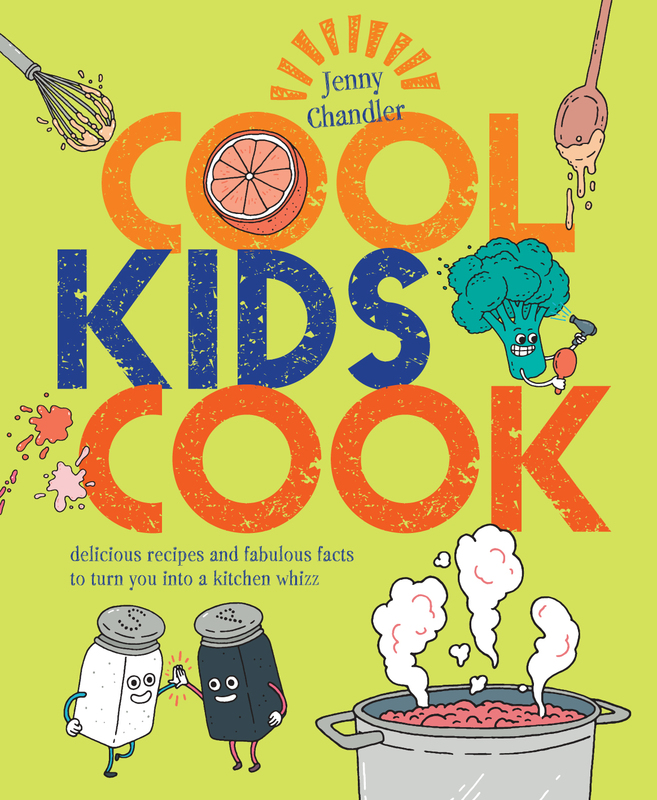 I’m sure that they’re the junior equivalent of the posturing male’s Vindaloo curry, managing to look like you enjoy them brings some bizarre form of kudos amongst peers. I was more up for trying the traditional Iranian salad of salted rhubarb and cucumber that I’d found in Paula Wolfert’s brilliant book The Slow Mediterranean Kitchen. The tart, fresh crunch was a great combination with the rich oily fish. I swapped watercress for the rocket, did add a pinch of sugar, a splash of rapeseed oil and of course the smoked mackerel. Slice the rhubarb and the cucumber as thinly as possible (mandolin or knife, that’s your choice). I’d only bother to peel the cucumber if I was using one of the delicious, but tougher skinned, continental varieties & maybe thicker garden rhubarb would be best peeled too. Put the rhubarb and cucumber in a colander and toss with the salt. Leave for 10 minutes and then rinse and drain it. 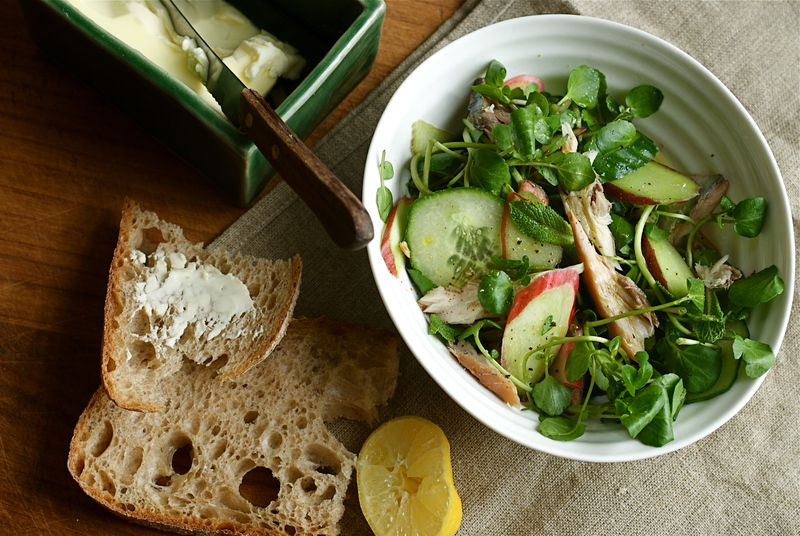 Now throw the salad together in a bowl, shredding the mackerel flesh in with the rhubarb, cucumber and watercress. Add the mint, lemon juice, rapeseed oil and pepper. Balance up the flavours with a pinch of sugar or salt, or maybe both. Delicious with some sourdough bread and plenty of butter. The rather decadent mini pavlovas went ahead as planned. 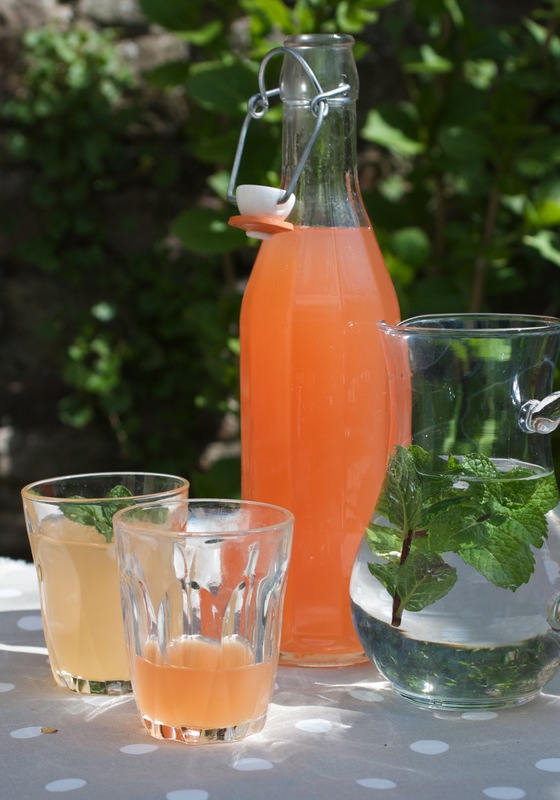 The classic combination of rhubarb and ginger is heaven. I really did pile the dried ginger into the meringue mixture, as well as serving some little chunks of the fiery crystalised stuff on the top. The pinky, pink rhubarb really looks beautiful. Save fools and crumbles for later in the season when it’s lost its good looks but still tastes great. Pre heat the oven to 180c. And line 2 baking sheets with baking paper. Take an oven proof dish and place the rhubarb in 1 layer, sprinkle over the sugar and then cover with foil. Cook in the oven for anything between about 8 and 15 minutes until just tender (timings will depend on the thickness of the stalks). Watch it like a hawk as it can turn into a rather messy looking mush if you leave it just a couple of minutes too long. Set aside to cool. Now for the meringue. Whisk up the egg whites until stiff and then whisk in the sugar a few tablespoons at a time until the meringue is really firm and glossy. Add the ginger, vanilla, vinegar and cornflour and whisk those in too. Use a small blob of the meringue underneath the paper to stick it to the tray. Divide the meringue into 8 or 10 circles, leaving some space in between them as they will expand a little. Flatten the meringues, making a bit of a dip in the centre. Place the trays in the oven and turn the heat down to 120 c. Bake for about an hour until crisp and golden. Cool. 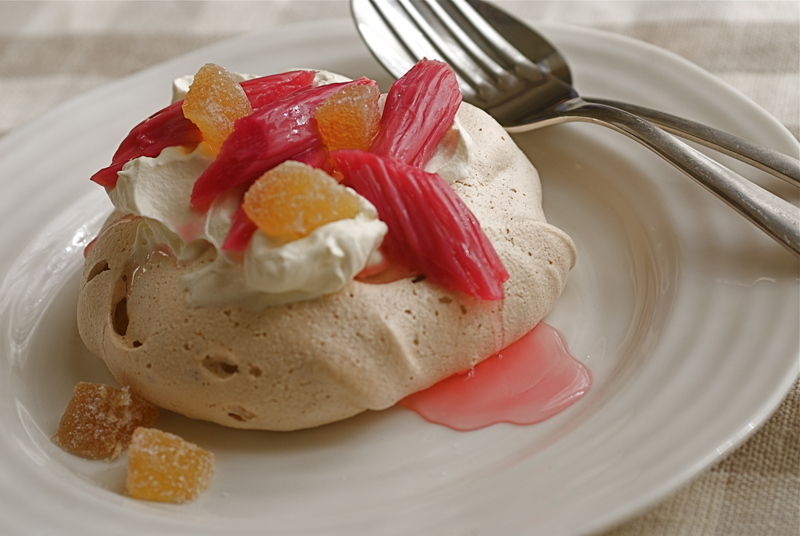 Serve the pavlovas piled with double cream, the fabulously pink rhubarb and a few pieces of chewy ginger. 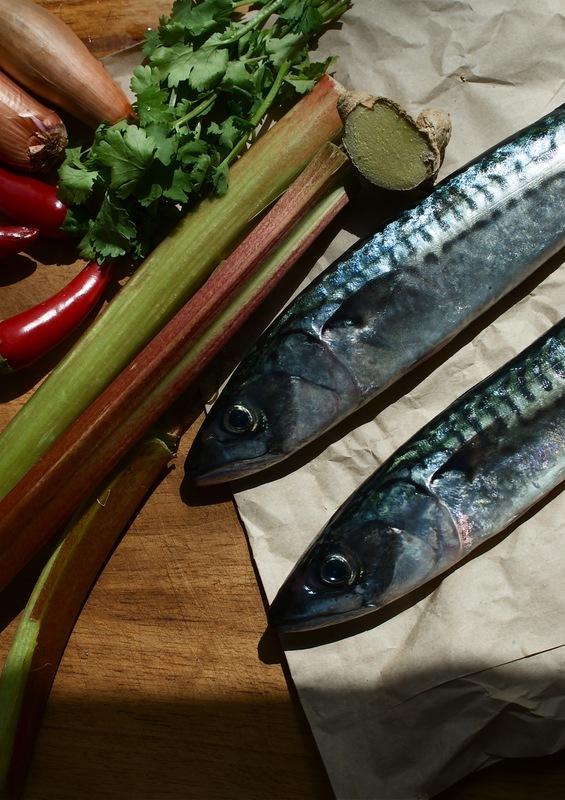 You’ll have to hold out for the rhubarb sauce (the one for the fresh mackerel) as my friend Kate has promised me some stems from her garden this week so I’ll post about that recipe if the Mackerel have been lured back by the warmer weekend (although it was hardly balmy). 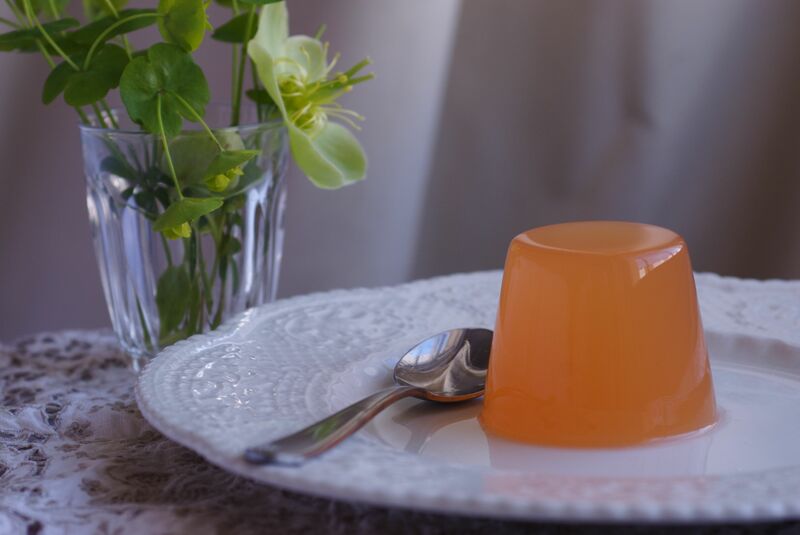 Rhubarb coulis. Cook up thicker rhubarb in a saucepan with a couple of oranges (juice and zest) and good dose of sugar. Once tender, puree with hand held blender until smooth. Try adding a few strawberries or better still raspberries for extra flavour and colour later in the season. Fabulous with vanilla ice cream and you crumble over some Ginger Nut biscuits for a bit of crunch. And of course there’s fool, there’s crumble, there’s pie. There’s another post waiting to happen. 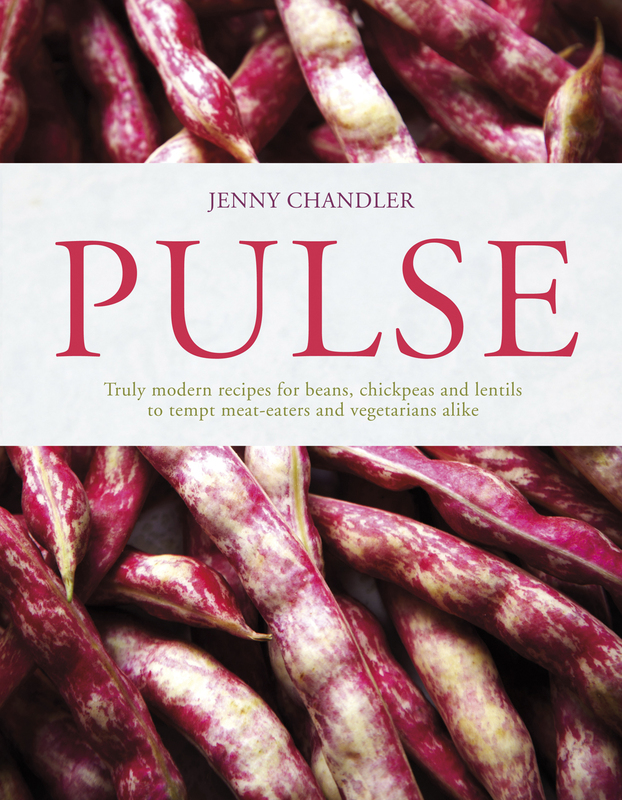 This entry was posted in Dessert, Salad and tagged cucumber, ginger, mackerel, Rhubarb on April 21, 2013 by Jenny Chandler.